IS IT TIME TO DITCH YOUR DISHCLOTH? The next time you’re in your workplace’s kitchen, you might want to think twice before using the dishcloth to clean your lunch box. Studies have recently shown that dishcloths in the UK harbour up to six times more bacteria than a toilet handle, and this shocking statistics may go a long way to explaining why so many working days are lost to employee sickness. When dishcloths around the UK were tested, 60% were found to contain E.coli bacteria, which can be extremely harmful, causing stomach upsets and even fatal illnesses in those who have compromised immune systems, and even worse, when we do wash our dishcloths in an attempt to clean them, 85% of us fail to set the washing machine to a temperature high enough to kill the harmful germs. 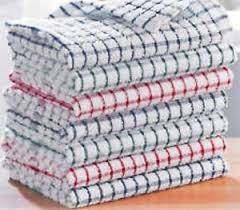 The same research proved that dishcloths in Britain are dirtier than anywhere else in the world, with samples being taken from the UK, South Africa, India, the United Arab Emirates and the USA to determine the level and type of bacteria present. 90% of the UK’s samples were shown to be heavily contaminated, while the remaining 10% was found to still be “unsatisfactory”. 7% of the dishcloths tested had over 1 billion bacteria for every square metre, while 25% contain 1 billion Pseudomonas spp, an organism associated with dirty and damp conditions and which can cause eye and skin infections, per square metre. 100% of the British dishcloths tested failed the microbiological hygiene tests,and this was also the case for the American samples. The samples collected in South Africa, the UAE and India fared slightly better, however even then, only 5% of Indian dishcloths, 10% of cloths from the United Arab Emirates and 25% of South African cloths were found to contain satisfactory amounts of bacteria. No wonder that health experts are now warning that continuing to use unhygienic dishcloths could be the reason that germs spread so virulently in the workplace, ending up on all kinds of surfaces from door handles and light switches to keyboards and telephones. When workers use contaminated cloths to wash their dishes, they are transferring the harmful bacteria around the office, and onto their hands which can then directly contaminate surfaces, putting their colleagues, and, in turn, their families in danger of being infected. Always thoroughly wash the dishcloth after using it and then rinse it through using an anti-bacterial detergent at least every 2 days to ensure that germs that are being harboured inside are killed. Throw away the dishcloth and replace it with a fresh one every couple of months. Deep clean the dishcloth on a regular basis in the washing machine on a 60 degree cycle. Consider switching to using anti-bacterial wipes instead to clean kitchen and workplace surfaces.